I saw this thing on the news about using low level cold lasers to treat cats with arthritis, IBD and a whole host of things. So I looked into it for Finney, who has arthritis, and now I have an expensive appointment today at the Animal Medical Center to get him a work up to see about physical therapy (including the laser treatment). Now that I know that there’s something out there that will likely make him feel better, how can I not do it?? Because he’s something special. I got him at the Something Special store (not really). I wasn’t reading your blog back when you got your two cats. What’s the story there? And the arthritis treatment sounds worth it; our pets are part of our family too! Oh, thanks for asking! I’m going to do a blog post to tell the story of my cats! 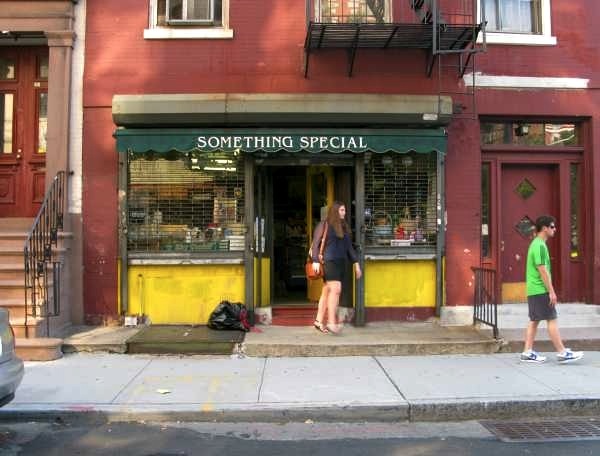 What do they sell at the Something Special shop? I didn’t go in! Can you believe it? I plan to go back.